Do you want a heavy duty sewing machine that will give you a solid footprint so you won’t have the skipped stitches and bunching problems that lightweight machines can sometimes provide? Are you looking for an affordable machine that won’t compromise on the quality that you receive over long-term use? 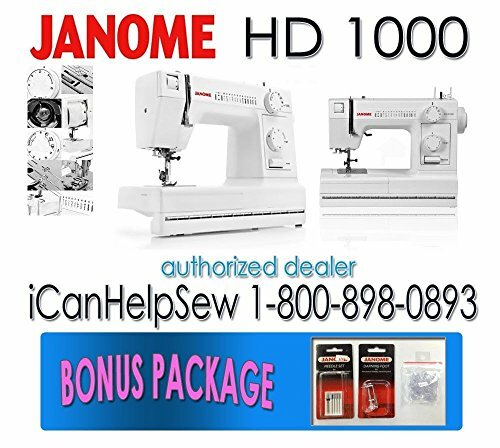 What you may just want is the Janome HD1000! This heavy duty sewing machine offers the right amount of options and features for a price that is nice. Save $100 instantly just by shopping on Amazon right now! What Features Does the Janome HD1000 Have? 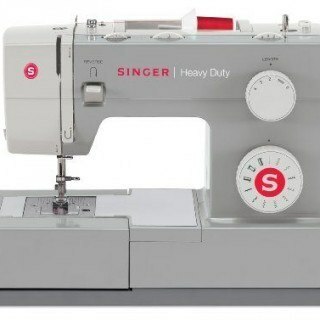 This heavy duty sewing machine offers 14 built-in stitches that include the regular stretch and utility stretches that you’re most likely to use. There’s also a pretty simple 4 step button hole setting that will help you repair clothing quickly or add the flair to your latest creation with ease. The unit itself is made from cast aluminum and is heavy enough that it won’t wobble on you when you’re trying to feed a thicker material through it. All in all, those are the key features that we loved. an automatic needle threader is included so that you can quickly thread the needle without straining your eyes or your neck to get the job done. How strong is this heavy duty sewing machine by Janome? You can even use it to sew leather! If you’re looking for something that can sew through 4 layers of fabric or give you the final stitches you need for your latest project, the Janome HD1000 is a no frills option that will exceed your expectations. What Advantages Does the Janome HD1000 Have? There are a lot of machines that say they are a workhorse, but for many of them, that’s just a marketing gimmick to get you to buy the item. In the case of the Janome HD1000, however, that is a very true statement! 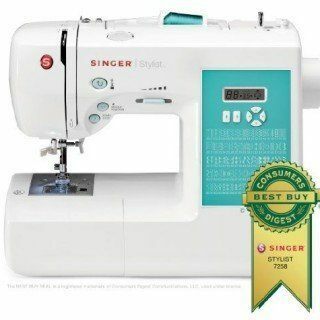 This sewing machine will keep powering through your sewing chores with ease and be ready to keep working. We did notice an issue with the clutch on the machine and that it would slip. If you’re not careful, it can break when it slips and that means needing a repair or a return. There are some bobbin issues at times as well because the automatic threader can be a bit stubborn. The regular bobbins insert nice and easy, but your custom bobbins can jam up every so often. For the most part, however, this sewing machine has a lot of good qualities that you’re going to enjoy. It’s heavy enough to get tough jobs done, but still lightweight enough at 17 pounds to give you some versatility. 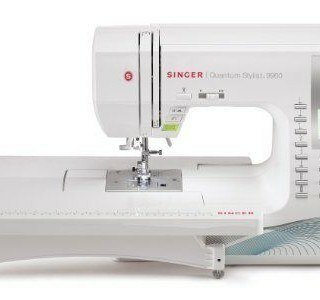 If you need a new sewing machine that has some power behind it, then this could be the best sewing machine for you! Click here to look at pricing on Amazon and buy theJanome HD1000 Heavy Duty Sewing Machine. The Best Embroidery Machine Reviews For You!